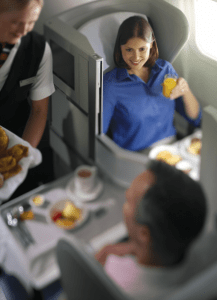 What is business class in British Airways? The first thing to notice when dealing with British Airways is that there isn’t a straightforward division into Business Class, Economy and First. Instead, as with many business class flights with other airlines, there are now divisions and subdivisions and these have been given names that (to a jet lagged and weary mind) can seem a little confusing. So anyway. 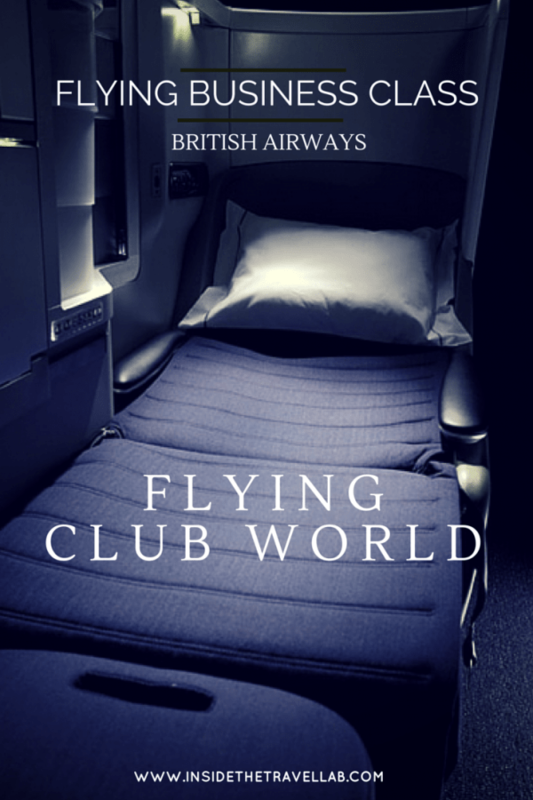 With all that taken care of, this review is going to discuss flying with British Airways Club World (business class in broad strokes.) That’s different to British Airways World Traveller (which is the standard economy seat when flying BA outside Europe.) I’m also going to have to skip the pre-flight details as I didn’t get to experience those first hand. But enough faff – here’s my review of my flight from Antigua to London Gatwick earlier this year. With a 4, 2,2 arrangement, British Airways seems to have overcome the issue that troubles many business class flights: how to balance the requirements for those who want privacy with those who don’t. Window and aisle seats are cocooned; the two middle seats open up to one another. 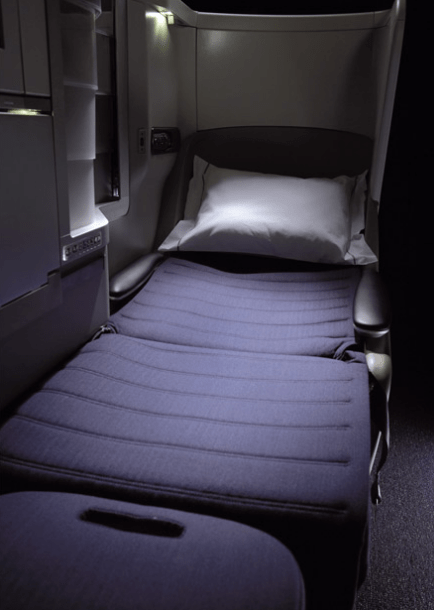 When travelling for work, I definitely want to cocoon myself as much as possible but if you’re on a romantic getaway or travelling with a young child then the central seats would definitely appeal. The only slight snag on one of the aisle seats remains that the cabin crew will have to lean over you to pass the other passengers their meals or deal with any other queries they may have. If your central passenger is a businessman who just wants to sleep, that’s not a problem. If it’s a young child, well, prepare to be disturbed. 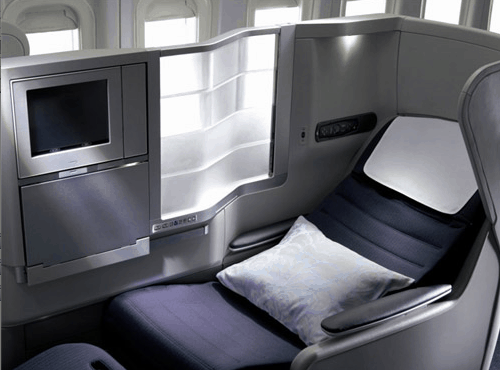 The British Airways Business Class seat itself is excellent – folding down to a fully flat bed with a footrest and everything in between. The architecture of the seat protects your head and feet from knocks as people walk down the aisle but the straight configuration leaves you with a slight question of where to put your knees if you sleep in the foetal position. Served on white tablecloths, the BA Club World flight came with the best of British breakfasts plus the choice of an evening meal. Unlike on some other flights, passengers were left to take their time and enjoy their food. And while it may not rank as some of the best food on earth, it certainly ranks among the best to eat on a plane. With an aisle seat, you will have staff leaning across you to deal with other passengers. For an interactive look at the facilities including a seat plan head over here. Also, I break the tradition of using my own photos for business class reviews. It just seems a little mean and unnecessary to snap people while they’re sleeping. Unless of course I know them…Mwahahahaaha….